It is in a child’s best interest that his or her life remains as stable as realistically feasible during this time of transition. Ideally, stability for your children is achieved through appropriate custody and child support agreements that helps them feel that they are treated equally in the homes of both of their parents. It is important for parents, whether they are the parent paying support or the parent receiving support, to have decisive and competent lawyers to advocate their position. Let us help to create a plan that will protect the future for your children while they adjust to these changes, and in turn give you the peace of mind of knowing that you are being treated fairly. The amount of child support is based on a number of children and the income of the payor. 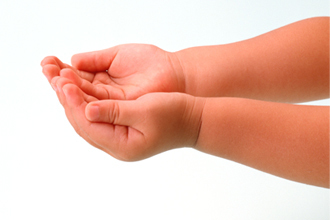 The Child Support Guidelines provide a way of calculating the amount of child support. The most crucial aspect in most cases is the determination of the payor’s income. The starting point in determining the payor’s income is using the sources of income under the heading “Total Income” in the T1 General form issued by Canada Revenue Agency as adjusted in accordance with Schedule III of the Guidelines (Section 16). However, the Court will look at other factors in determining child support, for instance, whether the payor is self – employed or a shareholder, director, or officer of the corporation. Under Section 19 of the Guidelines, a court has a broad discretion to impute income. For example, a court might impute income in circumstances where the spouse is unintentionally under-employed or unemployed. It is important to note that the Guidelines require a quantification of the income of the payor over a full calendar year and not over a pay period or some other period of time. To get information on child support in Ontario, please contact Anna Boulman at 1-877-405-5004. The federal child support guidelines: step-by-step by Department of Justice Canada. This publication is not a legal document. It contains general information and is provided for convenience and guidance in applying the Federal Child Support Guidelines. Note that provincial or territorial guidelines may apply in some cases. Note: Several companies sell software for calculating child support. Be aware that the Department of Justice was not involved in the development of that software.